Let us know if you have any question or comments about this event. Thank you! See you on October 25th! Thomas Wolfe famously wrote that, 'you can't go home again,' but after four years of living abroad in Scandinavia, Austin and Ashlyn Sailsbury did just that - they went home. For nine months this past year, the couple moved from Denmark back to the United States with hopes of rediscovering the American people and places they grew up loving. 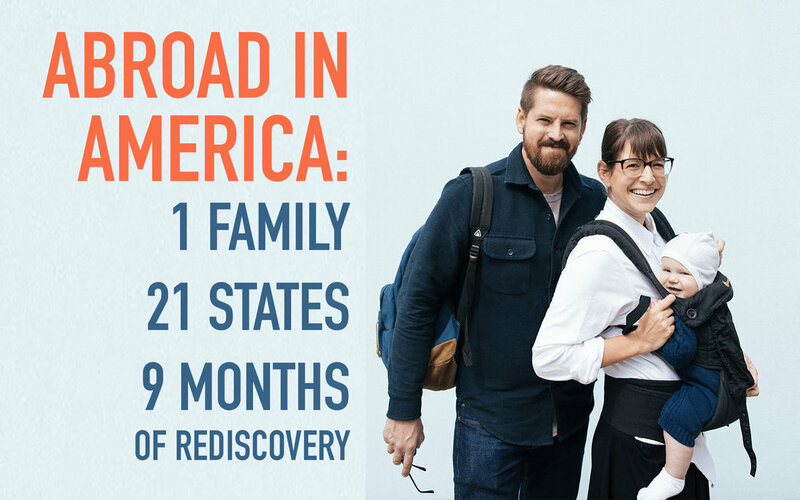 With their infant son in tow, the Sailsburys crisscrossed the USA in 2017, traveling to 20 of the 50 American states - visiting National Parks, capital cities, small towns, historical centers, theme parks, as well as a maximum security prison. During their year abroad in America, the family traveled from coast to coast and back again: endeavoring to embrace the people, places, and strange new realities of 'Trump's America' with the unique perspective of expats coming home. All the while, learning how to be parents for the first time.